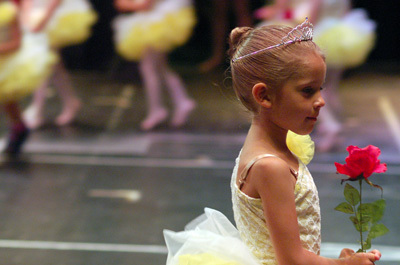 Tutus, tap shoes, music, and smiles are all things you find at Shore Ballet School. Celebrating over 30 years of dance, the most recommended dance studio in the Toms River area is dedicated to the highest quality of dance instruction. With a special curriculum arranged specifically to enhance the skills of every age group, Shore Ballet classes are rated #1 by parents and students alike. The teachers at Shore Ballet School are extraordinary. Our faculty is a great group of women who share the same values as the parents enrolling their children. They are an experienced group of professionals consisting of pre-school leaders, grammar school teachers, fitness instructors and former dancers. These specialized backgrounds help our faculty members identify with children. But most important our staff members are Moms, and this comes in handy when mentoring young children. The Shore Ballet curriculum is separated into 3 categories. The Youth course starts at the age of 12 months with our playful programs for parent and child. Select stories, music and props are incorporated into all toddler classes and promote use of imagination and safe body movement. Approaching age 3 the tots are ready to progress onto programs including tap, ballet, and tumbling. The skills that are taught in these lessons are all age appropriate and kids just love the excitement week to week. Pre-teen programs include many different dance styles and are offered at our Junior level. For example, our Broadway class lets the juniors experience stage and screen musicals while Lyrical gives them a more emotional connection with dance. These are just some of our great once a week programs for kids finding their niche. The mature Teen & Adult dancers, who have worked hard for years perfecting their art, progress to our professional levels that are athletic, technical and challenging. Many students who progress to these levels have studied with Shore Ballet for years. Our trained senior students always find their way into dance companies and major performing arts colleges. Shore Ballet School’s annual season of classes runs mid-September through mid-June. We accept new students during the school year for classes with available space. Our annual student performance is held at the end of the season to give the students an opportunity to perform and demonstrate what they have learned during the school year. We also offer a summer program. Summer classes give our current students a chance to train throughout the whole year and it’s a great time for new students to come in and try a class at our school without a long commitment. Shore Ballet School is dedicated to traditional training. Our main goal is to technically train students in a fun and charismatic atmosphere. Our curriculum even at the youth level is top quality and lead by a renowned staff. We have over 30 years experience schooling in the performing arts and working with children. Our talented students are a reflection of our knowledge and professionalism. We even have Shore Ballet School Alumni now bringing their children to us. We are proud of our students and our standards.